Going solar in New Jersey is a smart move, because the local government has been pushing alternative energy more than some people realize. On top of that, utility rates are only climbing long-term in the state. That means installing solar panels on your house will save you real money, both now and in the future. 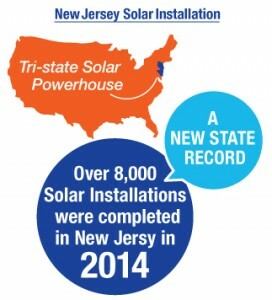 Why Solar Power in New Jersey Works? Thanks to the Renewable Portfolio Standard (RPS) the different utilities in New Jersey are actively encouraged to support any residents who want to make their own electricity with solar panels. Through the program utility companies are required to reward consumers who use solar power at their home. As a result, the overall cost of solar systems in New Jersey is declining, making it a great time to jump on the movement and go solar. When it comes to RPS goals in the United States, New Jersey is being one of the most aggressive states. By the year 2021 the government is pushing for 22.5% of energy in the state to come from renewable sources. This is of course driving growth in the state’s solar power industry. New Jersey is also throwing quite a few incentives at home owners to help attain this lofty goal, which is great news for anyone who is looking to go solar. 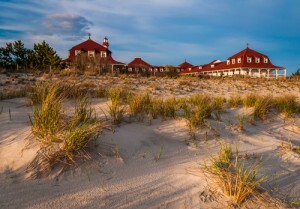 As part of the RPS program, New Jersey has set aside certain carve outs that specify how much of the renewable energy in the state should come from different sources. More specifically, the state has set a target for 4.1% of all electricity to be generated by solar panels. There’s a plan to slowly raise that percentage each year, and you can be a part of attaining the worthwhile goal! There’s another advantage of the solar carve out in New Jersey. Solar equipment is readily available, meaning you get to choose from a wide selection of options when you install your system. By speaking with one of our recommended solar installers, you can find out more about what it will take to start producing electricity at your own home. 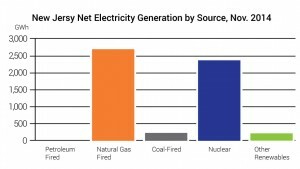 If you think that electricity is expensive in New Jersey, you’re right! According to the Bureau of Labor Statistics, throughout the United States the average price for a kilowatt of electricity is just under $0.14, while in New Jersey it’s about $0.22. That’s more than 150% the average cost in the country!Let’s face it, money’s tight these days, which is why homeowners in New Jersey are looking for any way possible to cut down their monthly bill. Of course, one of the best ways to do that is to go solar. As a homeowner in New Jersey, you can save up a big amount of money in a shorter amount of time by harvesting the energy from the sun. Because electricity rates are only going to climb in the future, your solar power system will save you even more as the years go by. Why wait with your solar PV system? Too often people delay getting their own solar power system since they think it’s a requirement to have the cash to pay for the whole thing upfront. You should know that leasing a solar power system not only is a possibility, it’s a great idea. Through a lease arrangement you can actually save some cash versus if you save up and pay for the whole system out of pocket. (See above chart source). In other words, skipping out on leasing a solar system can actually minimize the return you get on your investment. In many situations you can get into a solar lease with 0 money down, or PPA (power purchase agreement) making it an easy and affordable way to start saving money on your utilities almost immediately! While some people do see savings from day one, that’s not always the case. 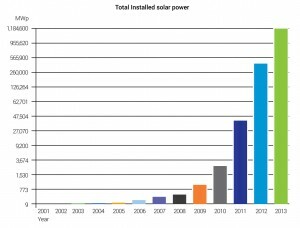 As time goes on the amount of cash you save from generating solar power adds up. Part of the savings comes because the rate on your lease is fixed, but the rate of electricity isn’t, meaning as it becomes more expensive to power homes in New Jersey you’ll start saving money versus your neighbors. You’ll be glad you made the investment as you see the financial benefits. Depending on your situation, solar panels can cut down your current electric bill by 50% to 100%, which is pretty compelling. The average person will recoup all of the costs associated with getting a solar power system within 20 years. Considering that electricity rates over time are definitely going to keep rising, getting a solar system for your house is a wise choice. The interest rate you would pay on the loan would be more than made up for skipping out on increasingly expensive electricity from your utility company. What is the cost of New Jersey Solar Power? According to the New Jersey Clean Energy Program, going solar in the state is a pretty affordable thing to pursue. In a report, the organization revealed that one family in Ringoes built a 3,100 square foot house and outfitted it with a 2.7 kW solar system. The cost of the setup was about $13,000 after all incentives were applied. While that might sound like a lot of cash to you right now, remember that as a homeowner you stand to save a lot of money, making a solar system more of an investment instead of just a cost. You can get in touch with one of our trusted professional installer and see what will be the cost for your house. Not a single person out there likes how much they have to shell out to the utility company every month. While you can complain about your bill, you can also take charge of the situation, making some real progress toward generating your own electricity at home. Just think how much less you’ll be paying in utilities every month and what you can do with that money. To help sweeten the deal, the state of New Jersey provides even more benefits and incentives to encourage home owners to go solar, adding to the savings you get from going green. The legislature in New Jersey has decided to not offer rebates to homeowners in the state who purchase solar power systems. While this might seem like a bad thing, there is a positive side. Homeowners instead can register their solar system with the state to earn Solar Renewable Energy Certificates (SRECs). It’s a program that encourages the utility companies in the state to buy solar power from homeowners who are registered, which in turn means more cash in your pocket. If you are a homeowner in New Jersey and install solar panels on your property, at the moment you won’t get any state tax credits. As is the case with rebates, the state legislature has chosen to push the SREC market as the big incentive to get people on board with solar power. Here is a Video discussing PPA, SRECS and the great benefits homeowners can get in New Jersey: Thankfully, the federal government offers a tax incentive for getting a residential solar system. With the Residential Renewable Energy Tax Credit, you can get a 30% credit for anything you spend to install the system, as long as it’s included on the approved list. This incentive is too good to not take advantage of! While you don’t get a state tax credit for going solar in New Jersey, you do benefit from a property tax incentive. More specifically, property tax assessors in the state cannot legally count your new solar power system in the total value of your house. That’s great news, because asolar system will add significant value to your property and make it more desirable to shoppers if you ever choose to sell it. When you purchase a solar power system in New Jersey, you enjoy a nice sales tax exemption that makes the decision that much less expensive. The current sales tax for the state is set at 7%. Anyone who’s a taxpayer in the state can take advantage of this incentive and it applies to all major types of solar energy equipment. Is it worth investing in residential solar energy in New Jersey? If you live in New Jersey and are wondering if going with a residential solar energy system is a good idea or not, read on. Realistically, everyone’s situation is different, but in the vast majority of arrangements a solar system is a solid way to invest your money. Sometimes people actually see immediate savings from going solar. The best way to gauge if your situation is ideal for a solar system is to speak with one of our professional installers and get a solar quote for free. The average duration for a home solar power system lease is about 20 years. Financing the system could mean that you won’t qualify for some of the tax credits, incentives and rebates that you would get if you just bought it outright. In addition, you can’t depreciate the cost of the solar system on your annual taxes. All of this doesn’t mean that leasing a solar system is a bad idea. Instead, there are some solid advantages to financing the setup. In certain situations, home owners can lease a system and save as much as half of what they’re currently spending on their monthly utility bill. That means more money in your own pocket. In some leasing arrangements you don’t even have to maintain the solar panels, adding to the benefits you enjoy. You should know that one of the greatest advantages leasing versus buying a system presents is that you can get into the loan putting zero money down. When you reach the end of the lease, you likely will be able to exercise the decision to buy the solar panels or not. You should know that to qualify for a solar system lease, you need excellent credit. Can I lease the system in New Jersey? Should I buy instead? There are a lot of variables that can make leasing or buying a solar system in New Jersey a better financial decision. It’s a complicated thing to navigate, which is why our advise is to speak with one of our trusted solar installers and get a professional assessment of your situation. What about New Jersey Net Metering? Homeowners in New Jersey can actually save money every month on their electricity bill, thanks to Net Energy Metering. The way it works is that you sell whatever electricity your solar panels make that you don’t use to the utility company, which pairs a fair price for it. To take advantage of the offer, your house must be connected to the local power grid, and there are some other requirements you must fulfill as specified by the utility provider. You earn credits for selling electricity to the utilities, which is then applied to your bill. As a result, you pass less each year, adding to the savings you enjoy. Each situation is different, so you could end up owing very little to the utility company if your solar panels cover most of your energy usage. In some cases you might even find that the utility company owes you some money, which is a nice change. Homeowners in the state of New Jersey who are the least bit interested about using solar power need to take action now. The time to jump on the solar system bandwagon is now, thanks to truly great incentives that will save just about anyone some serious cash. In fact, your situation could mean the utility company owes you money, making the investment worth every penny. Not only is installing solar panels on your house the environmentally responsible thing to do, it’s also a solid investment that you’ll benefit from for years to come. You’ll reduce your reliance on fossil fuels, which in turn helps improve the air quality in New Jersey. With solar panels you also aren’t relying on electricity produced by damming up a river, which also has some bad consequences for the environment. The reality is you’ll hardly even notice your solar system, thanks to the panels being out of the way. Remember that installing solar panels on your house is a great investment. Learn more about how much your solar power system will cost for your situation, plus find out more details about how to have a system installed on your house by clicking below.